Fortuna Dusseldorf vs Schalke predictions for this weekend’s German Bundesliga. Schalke look to continue a league revival with a match against Dusseldorf at the ESPRIT arena on Saturday. Read on for our free betting tips and match preview. 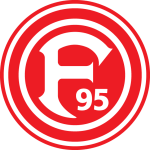 Back-to-back league defeats has given Fortuna Dusseldorf a harsh taste of reality after a comfortable enough start to the season. Fortuna strung together some positive results – draws away to RB Leipzig (1-1) and Stuttgart (0-0) stand out – before last weekend’s 3-0 defeat away to fellow promotees Nurnberg, a less than impressive display. Coach Friedhelm Funkel has some thinking to do ahead of a tough encounter against Schalke with his side managing just one goal over their last three league outings. Last season’s second top scorer Rouwen Hennings is back in contention to start after being limited to a bit part role off the bench against Nurnberg. After suffering five consecutive defeats to Wolfsburg, Hertha Berlin, Gladbach, Bayern, and Freiburg, Schalke 04 finally got their first points of the season last weekend. A 1-0 win over Mainz 05 lifted them off the foot of the Bundesliga and another mid-week Champions League win has given them so momentum. Coach Domenico Tedesco does, however, still have some work to do ahead of the weekend – Schalke remain as the lowest scoring side in the league, with just three goals scored in six games. What must also be noted is that Schalke have had their fair share of bad luck. The Royal Blues have been reduced to 10-men in two of their six league fixtures so far, they’re the second top team for shots against the woodwork (4), and they’re also about four goals below their expected goals total (xG). Not much has gone their way! So where does that leave us ahead of this game? Well, after looking over everything, there looks to be some value in backing goals at both ends on Saturday. First off, both times that Fortuna Dusseldorf have failed to score this season have been on the road. Dusseldorf had the single strongest home record in the German second tier last season (W10 D4 L3), averaging around two goals per game scored, and they’re not far off that with four goals in three home matches so far. However, defence is not their strength, and even with Schalke relatively out of shape in front of goal, you would have to fancy them to get on the scoresheet too. Creating scoring opportunities isn’t a problem for them – Schalke are ranked 8th in the Bundesliga for shots on goal – but they need key names like Guido Burgtaller, Breel Embolo or Mark Uth to rekindle some form. 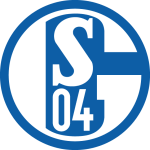 Schalke’s run of wins should help them replicate the away form found last season – Schalke were the second best travelling side in the 17/18 campaign (W8 D4 L5) – and if there’s any side you’d fancy them to do that against it would be an out of form Fortuna Dusseldorf. However, with Schalke keeping just one clean sheet so far this season, against the Bundesliga’s weakest offense (Mainz) at that, goals look the main order of the day – in fact, both teams have scored in 9 of Dusseldorf’s last 11 competitive league home matches (82%). Ultimately, Schalke should have the quality to come out on top, but given that they haven’t scored more than two goals in a competitive match in 2018, we don’t see this one being too high scoring. Our prediction: 2-1 Schalke. Both teams have scored in 9 of Dusseldorf’s last 11 competitive league home matches (82%). Schalke and Dusseldorf have both conceded 9 goals this season – an average of 1.5 goals per game conceded. Schalke have won each of their last two competitive outings across all competitions. Dusseldorf have lost each of their last two competitive outings.